Got a headache? Eat a pharm cookie! Need hormone therapy? Eat a bowl of pharm cereal! "Huh?" you say? One of the more intriguing ideas that has come out of the biotechnology industry is "biopharming"—that standard crops can be genetically engineered to "grow" pharmaceuticals (drugs). Not only do these pharmaceutical crops have the potential to reduce the cost of manufacturing drugs, if the technique of using food as a drug and vaccine delivery system could be perfected, providing drugs and vaccines to people in developing nations would be greatly simplified. But, as usual with biotech, there are downsides to biopharming. Portions of today's article have been excerpted, with permission, from resources available at Pesticide Action Network North America. PANNA is the North America component of the broader Pesticide Action Network, a network of over 600 participating nongovernmental organizations, institutions and individuals in over 60 countries working to replace the use of hazardous pesticides with ecologically sound alternatives. Today's article will provide some basic information on biopharming and pharmaceutical crops, and it will discuss the potential benefits and substantial risks of the technology. "Biopharming" is an experimental application of biotechnology in which genetic engineering (GE) is used to create plants that can produce pharmaceutical proteins and chemicals. In spite of this enhancement, biopharm crops are virtually indistinguishable from edible varieties. Pharmaceutical and biotech corporations see biopharming as a less expensive way to produce large quantities of pharmaceutical chemicals and other potent, biologically active substances. Corporations do not typically disclose the types of chemicals that are being developed—they classify this information as "confidential business information"—but we do know that plants have been engineered to produce a contraceptive, potent growth hormones, a blood clotter, blood thinners, industrial enzymes, vaccines, and pharmaceutical chemicals used for the treatment of severe diarrhea. Some 400 biopharm products are reportedly in the pipeline. Hundreds of open-air field trials have already been conducted in unidentified locations across the United States. Corn is by far the most popular substrate plant for biopharming, followed by soybeans, tobacco and rice. "Pharm" is short for pharmaceutical. It is also conveniently a homonym for "farm," and thus has been "verbized" to mean the act of growing pharmaceutical crops. Biopharming and pharming are synonymous. With biopharming now undergoing open-field trials, it's reasonable to ask: If food becomes contaminated with biopharmed crops, could these substances harm human health? It depends, of course, on the type of chemical and the quantity. However, there is much to be concerned about. People are prescribed drugs by their doctors, and should only be ingesting them when necessary and appropriate to their medical condition. If food crops were to become contaminated with biopharm crops, our food could end up dosing us with drugs that we don't want, that we don't need, and that could be inimical to our well-being. Further, plants process proteins differently than animals or humans. Thus, some experts are concerned that a plant-produced "human" protein could be perceived as foreign by the body and elicit an allergic reaction, including life-threatening anaphylactic shock. For example, corn-grown industrial enzymes such as trypsin and antitrypsin are known allergens. 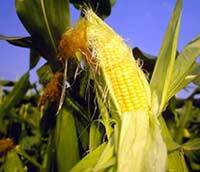 Yet trypsin corn has been grown on hundreds of acres throughout the Corn Belt. A 2004 study by the Union of Concerned Scientists (UCS) found evidence that conventional seeds may already be contaminated with low levels of DNA from genetically engineered (GE) plants. The report, titled "Gone to Seed," engaged two laboratories to test seeds of six traditional varieties each of corn, soybeans and canola for specific DNA sequences found in commercial GE crops widely grown in the US. One of the laboratories reported transgenic DNA in 50% of the corn, 50% of the soybeans and 100% of the canola varieties tested. The other lab detected transgenic DNA in 83% of the traditional varieties of each of the crops. The study did not look at how the contamination occurred, but recommended prompt action to protect seed production from GE contamination, and particularly from biopharm crops that are not approved for food. Jane Rissler, a plant pathologist at UCS and the co-author of the report, states: "Not only must we worry about genes in approved varieties but we must be concerned about hundreds of other genes that have been field tested but whose identities are unknown to the public in many instances. Heedlessly allowing the contamination of the seed supply to continue may cause problems which cannot easily be remedied." "If you were to try to figure out the worst crop to use for biopharm products, it would probably be corn because it readily pollinates—that is, the pollen travels long distances. So the pollen containing the genes for the drug might float into fields where corn is being grown for food. Some of the seed that is harvested may escape and fall to the ground, grow the following year, and be harvested along with other food crops.... These products will be [visually] indistinguishable." "The problem is, USDA does not apply these strict requirements to industrial producing crops. It is not clear that these restrictions do in fact keep these [pharm] genes out of the food supply. It is not clear that these requirements actually work. These [latest] requirements have never been subject to public comment; have not, as far as we know, been subject to scientific review." A question that is always asked—or should always be asked—about any new technology is whether that technology will have any impact on the earth's ecosystems and creatures. In this case, could plant-grown drugs and chemicals harm the environment? It's important to remember that farm fields do not have some invisible shield over them. They are in nature, and they share their space with animals, insects, and soil organisms, all of which can potentially be affected by chemicals in biopharmed crops. Animals and insects can also transport pollen and seeds from biopharmed plants. "Biopharmaceuticals usually elicit responses at low concentrations, and may be toxic at higher ones. Many have physiochemical properties that might cause them to persist in the environment or bioaccumulate in living organisms, possibly damaging non-target organisms..."
Open-air field testing of biopharm crops has been done in many US states, with Nebraska and Hawaii having the most sites. The wildlife, farms and residents of Hawaii are particularly vulnerable to contamination because the islands are home to more than one third of all US endangered species—more per square mile than anywhere else on earth—and farming takes place close to sensitive wildlife areas and population centers. A 2002 study by the National Academy of Sciences found the environmental impacts of biopharm agriculture cannot be predicted and that the novel compounds being produced by these plants may contaminate human and animal food supplies. In March of 2003, USDA announced it would increase buffer zones between biopharm crops and other food or livestock crops from one-half mile to one mile. This would still appear to be grossly inadequate—in 2004, pollen from a genetically engineered grass crop was found to have traveled 13 miles (21 km) from the test plot. Initially, USDA kept all drug and chemical crop sites secret from the public. However, in 2004 a judge ordered USDA to disclose the locations of open-air field tests of biopharmaceutical crops in Hawaii. As a result of the ruling, neighboring farmers and residents will be able to learn if biopharm test crops are located near conventional varieties probably at risk from cross-pollination, or if they are being grown in ecologically sensitive areas or near schools and homes. Industry, of course, has used its legal power to challenge this order, but it remains a very important, precedent-setting decision for the public's right to know. But Aren't Biopharm Crops Regulated? In the United States, USDA has primary authority for experimental biopharm crop cultivation. Do USDA rules ensure that it's all being done in a safe manner? Hmm. Consider the following. USDA's "gene confinement measures" are intended to minimize rather than prevent contamination of food crops with biopharm crops. The few environmental assessments conducted by USDA are of poor quality and show a disturbing willingness to bend the rules to the likes of the biopharming corporations. For instance, a trial of alfalfa engineered with industrial enzymes was allowed to proceed despite the presence of non-GE alfalfa within 200 yards of the test site—less than the accepted isolation distance. USDA approved the field trial plan over the objections of the Wisconsin Department of Agriculture. Genetically engineered crops in general have been found to contaminate non-GE food crops. In the StarLink fiasco, genetically engineered corn that was not approved for human consumption ended up in dozens of products on supermarket shelves that had to be recalled. Even more relevant here is that fact that potentially disastrous slip-ups in biopharm field tests have already occurred. USDA has twice cited ProdiGene twice for allowing biopharm crops to contaminate food crops. In one case, USDA quarantined and destroyed 500,000 bushels of Nebraska soybeans meant for human consumption because the crop had been contaminated with corn engineered to produce a pig vaccine. Similarly, potential contamination led to the destruction of 155 acres of conventional corn in Iowa. Even if USDA biopharming regulations were adequate to protect the food supply from biopharm contamination, would they be followed? When it comes to GE crops in general, protocols have often been flouted. Dow AgroSciences and Pioneer Hi-Bred International have both been fined for increasing the risk of cross-breeding (contamination) by not complying with USDA permits in tests of (non-biopharm) genetically engineered corn in Hawaii. Growers of genetically engineered Bt crops have been regularly found to be non-compliant with their resistance management plans. Egad! Rather than just being a risk, contamination from biopharming would seem to be an inevitability—IF the technology is allowed to go forward under current guidelines. Do we really want hormones, vaccines, and other drugs in our morning bowl of corn flakes? It may not be reasonable to say that biopharm crops should be banned, but it would certainly be reasonable to say that they should be confined to greenhouses and other environments that can be tightly controlled—just like other drug labs.